The watershed moment for Israeli basketball came in April 1977, when Maccabi Tel-Aviv won its first European championship. Rich Walter is the associate director for Israel education at the Center for Israel Education (www.israeled.org). 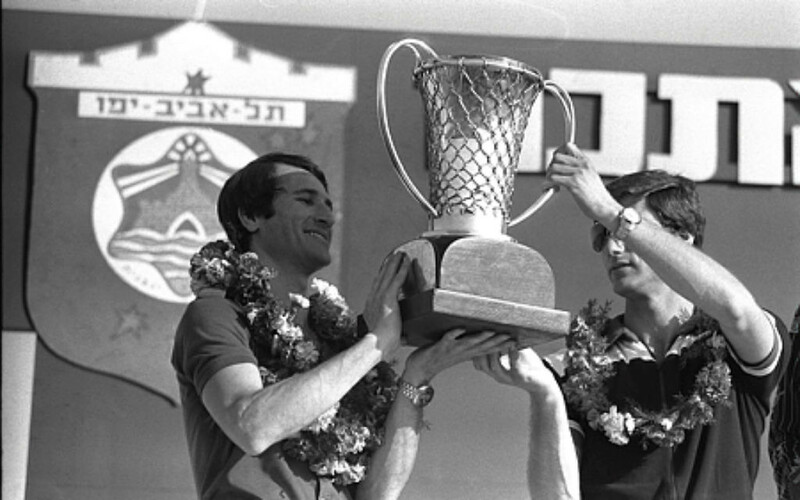 Yaacov Sa’ar, Israeli Government Press Office Maccabi Tel-Aviv teammates Tal Brody (left) and Micky Berkowitz hoist the European League championship trophy at a rally in Tel Aviv’s Yarkon Park on April 10, 1977. With the National Basketball Association Finals beginning Thursday, June 1, let us look at a moment 40 years ago when the sport had a major impact on Israel. While to date only one Israeli, Omri Casspi, has had a significant career in the NBA (Gal Mekel averaged less than 10 minutes per game in 35 appearances for the Mavericks and Pelicans over two seasons), the sport is wildly popular in the Jewish state, second only to soccer in public interest. Much of basketball’s popularity in Israel is a result of the success that its teams have had in international competitions. Maccabi Tel-Aviv, the standard-bearer of professional basketball in Israel, has captured six European League championships and finished as the runner-up nine times in the prestigious competition. Those impressive achievements go along with the team’s 51 Israeli championships, 44 Israeli Cups and six Israeli League Cups since 1954. The watershed moment for Israeli basketball came when Maccabi won its first European championship in April 1977, defeating the two-time defending champion Mobilgri Varese of Italy, 78-77, in the final. The victory, recently commemorated by a documentary film shown at the Atlanta Jewish Film Festival, “On the Map,” had an important impact on a country that had suffered a series of national traumas in the preceding years, including the 1973 invasion by Egypt and Syria on Yom Kippur. A scandal in the days leading up to the tournament against Prime Minister Yitzhak Rabin also stressed the nation. Rabin’s wife, Leah, had maintained an American bank account after her husband’s tenure as ambassador to the United States from 1968 to 1973. At the time, this was a violation of Israeli law. The scandal led Rabin to resign as prime minister and Labor Party leader just two hours after the team’s victory in the championship game and less than six weeks before the May 17 parliamentary elections. Perhaps even more significant than winning the championship game was Maccabi’s victory over CSKA Moscow, 91-79, in the semifinal round. That game was played in Belgium because the Soviet Union had severed relations with Israel over the June 1967 war 10 years prior. The Soviets both refused to allow their team to play in Tel Aviv and barred the Israeli team from competing in Moscow. 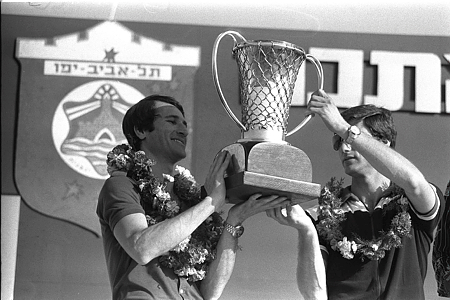 Maccabi Tel-Aviv’s victory in 1977 led to further success for the team and Israeli basketball. The national team, led by several Maccabi players, finished as runner-up in the European Championships in 1979, and Maccabi Tel-Aviv won European League championships in 1981, 2001, 2004, 2005 and 2014. Today, there are four levels of professional basketball in Israel. The top tier, Ligat Ha’Al (Super League), is composed of 12 clubs, including Maccabi Tel-Aviv.